« Happy New Year of the Pig! As places are limited please e-mail to reserve your place early. The deadline for booking is extended to Wednesday 30th January with payment no later than Friday 1st February. Priority will be given to current Meridian Society members, supporters who book for both events, then on a ‘first come [payment received] first served’ basis. In 1972, during Mao’s Cultural Revolution, Antonioni was invited to direct a documentary about New China. The result was a three-and-a-half hour film divided into three parts. 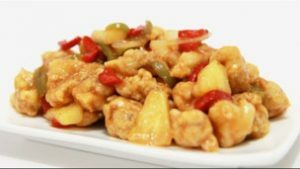 The first part, taken around Beijing, includes a cotton factory, older sections of the city, and a clinic where a Cesarean operation is performed, using acupuncture. The middle part visits the Red Flag canal and a collective farm in Henan, as well as the old city of Suzhou. The final part shows the port and industries of Shanghai, and ends with a stage presentation by Chinese acrobats. 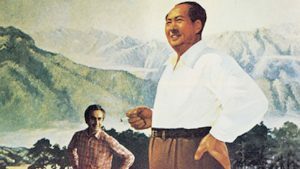 Mao disliked it so much that Antonioni was consequently charged with being anti-Chinese as well as counterrevolutionary. The movie was finally shown at Beijing’s Cinema Institute 30 years later. * concessions for the film are available to seniors, students, unwaged and disabled (evidence required on the day). Please note: Members of BFI pay lower prices and are advised to buy their own tickets. Places will be confirmed on receipt of payment. Payment should therefore be made as soon as possible and no later than Friday 1st February. Please send your cheque made payable to ‘The Meridian Society’ to: The Treasurer, 5 Mildmay Street, London N1 4AB. Alternatively if you wish to pay by direct bank transfer please contact us and we will forward our account details. Note: Membership for the Meridian Society is an annual fee of £35 a year (£20 for concessions). Visit The Meridian Society website for information about other activities.